This is a remarkable rock. When energy is projected through it can clear a person’s Aura of disharmonious energy & drug energy, bringing it back to a state of harmony again. 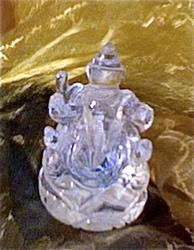 It is believed that the substance will protect its caretaker from any harm or evil. It reputedly will seek out its proper caretaker & come & go of its own will. It should only be acquired by a someone who is very serious about its care. 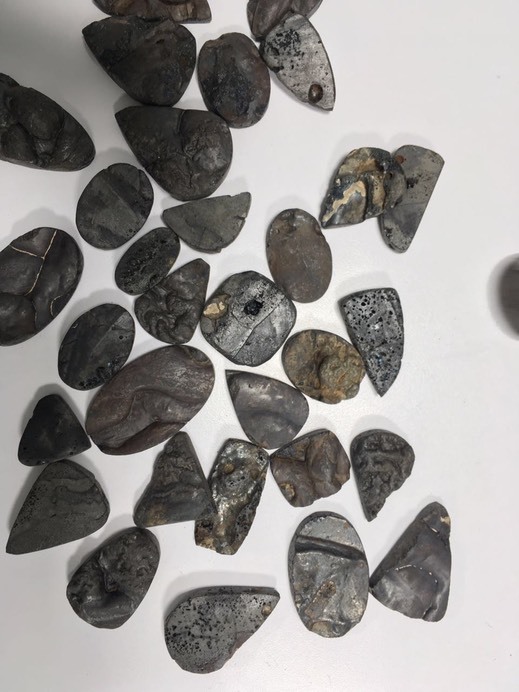 these pieces are being set in silver as we speak. 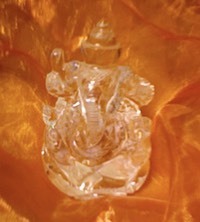 Ganesh - Buddhist/Hindu Elephant headed god of Wisdom, Success and Joy. He is the defender of Women, Remover of Obsticles & gives Assitance into the next step. 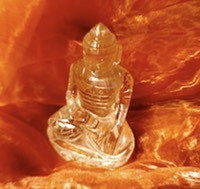 Made of the highest quality Himalayan Quartz selected for it's presence and power. All are nicely detailed and master carved. 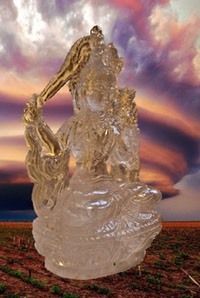 The goddess born from the tear compassion - she protects, heals and awakens. Her love is stronger than a mother's love for her children. She gifts longevity, protects earthly travel, and guards her followers on their spiritual journey to Enlightenment. This Himalayan quartz rupa is stunning in elegant presence, detail & power. 1700 grams or nearly 4 pounds in weight. 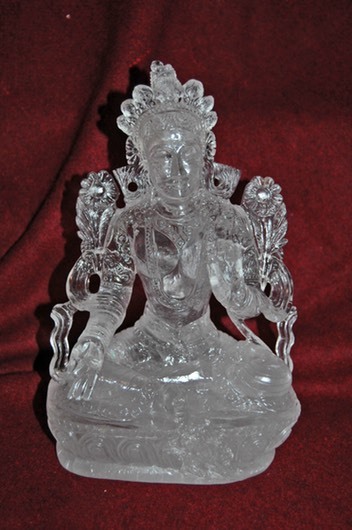 Hand carved from high quality Himalayan quartz he is stunning at 8.5" tall x 3.5" deep x 5" across - weight 1.930 kilo. 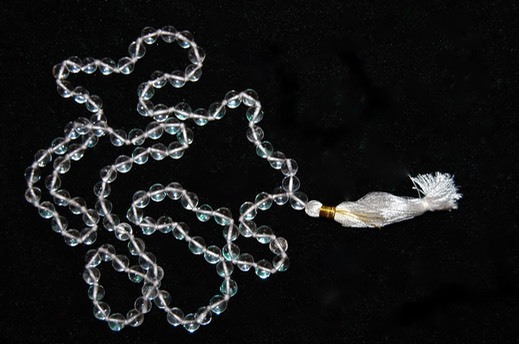 Composed of the traditional 108 beads plus one guru bead it is 37 inches in circumference. Used by a nomadic Lama - very rare if not singular. A 500 year old Thangka from Tibet.